The U.S. economy is the strongest in the world and it shows no signs of slowing down. On Friday, another incredible economic report was released as the September unemployment rate dropped to 3.7%, the lowest since 1969. Among Hispanics and Latinos, the unemployment rate was only 4.5%, the all-time lowest level in history, while among African Americans, the unemployment rate was 6.0%, near the record low. Not only are people finding work, but Americans are earning more. Compared to September of 2017, wages increased 2.8%, while the typical work week remained steady at 34.5 hours. While only 134,000 new jobs were created in September, the employment numbers for August were revised upward to 270,000. Thus, over the last year, an average of 201,000 new jobs were created each month. The key to maintaining such “extraordinary times” will be for these positive economic policies to continue. 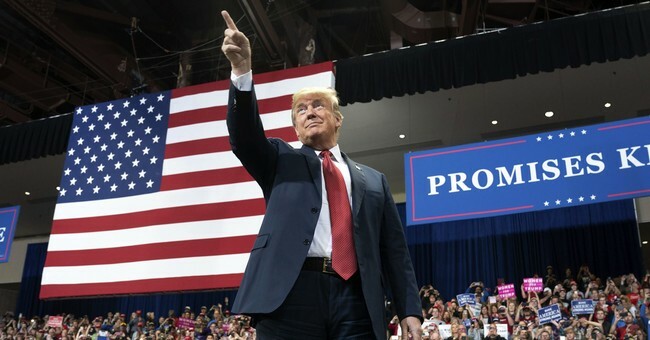 Hopefully, American voters will recognize what is happening and reward the President by keeping the U.S. Congress under the control of the Republican Party in the mid-term elections. The stakes for our country and our economy could not be higher as we countdown the final few weeks until the mid-term elections. With the economy going so well, let’s hope American voters do not shift gears and empower politicians who espouse policies that have failed miserably both here and throughout the world.